The Engadin St Moritz Bergbahnen have been very satisfied with the introduction of Dynamic Pricing, which they called the “Snow Deal”. As a result of the positive effects, they want to continue using the system in the next season, according to a report by HTR. With the new “smart prices”, skiers and the mountain lifts benefit together. According to the article, the majority of guests have used the deal to buy ski tickets at discounted prices. Especially the additional discounts for the tickets for children saved skiers money. In particular, buyers of multi-day tickets benefited the most. More than half of all multi-day visitors bought their tickets online and in advance. Therefore, they benefited from the early bird discount. As a result, the mountain lifts were able to extend the booking period from 4.8 to 5.9 days. Due to online advertising, the online share rose to an impressive 38%. This shows that skiers have understood and used the benefits of online shopping. In return, the queues at the cash registers at the resort were relieved and skiing more relaxed. The new price model is also a complete success for the holiday home rental companies and their guests. According to the report by HTR, around ¾ of the guests in certain apartments have booked the ski pass at least 15 days prior to arrival. According to the current state in late March, the new dynamic prices are a great success. Looking back over the past five years, this winter has been the second strongest so far. The new price model, together with great conditions and weather, has seen 10% more first entries and a 12% increase in turnover compared to the previous year. 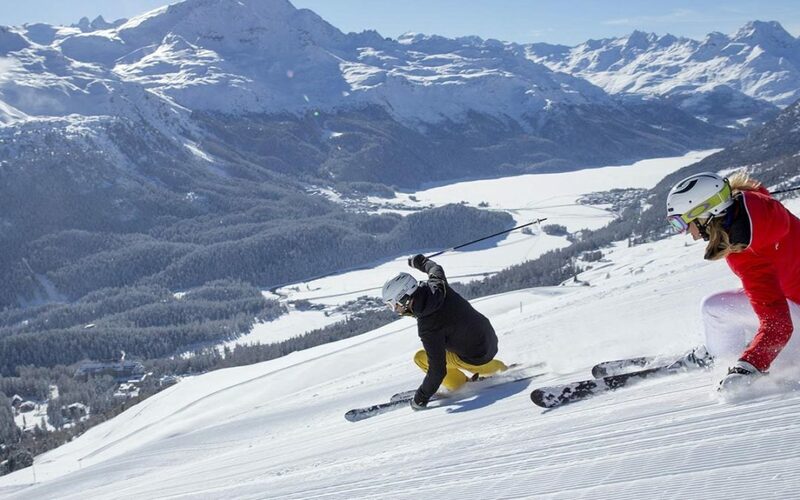 St Moritz is one of the so-called “first movers” in the alpine ski region with regard to flexible prices for tickets. Many ski resorts are still watching the trend. The Engadin St Moritz Bergbahnen have the advantage that their guests have now become accustomed to the new system and they can further adjust their prices to the strategic goals. We recommend that the sooner a ski resort starts with “smart prices”, the sooner you can learn from the results and fine-tune the pricing parameters for the next season. The impact of dynamic pricing is also the topic of the 29th TFA TourismusForum Alpenregion from 01. – 03. April in Innsbruck. The pricing of alpine ski resorts is becoming increasingly dynamic and imaginative. Daily fees, weather-dependent tickets or sophisticated combination tickets offer many options. Among other things, it is being discussed by the Engadin St Moritz Bergbahnen and the Zermatt Bergbahnen AG, what effects do dynamic prices haev on the company, what on the industry? If you would like to meet our team at the TFA, please contact info@smart-pricer.com to schedule a first meeting.